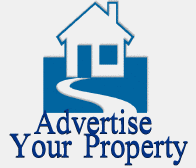 You have found a Caribbean property / real estate you wish to purchase in Caribbean what next? Caribbean Real Estate Buyer's Guide explains the legal fees, legal procedures, purchase taxes and mortgage procedure when purchasing Caribbean Property. 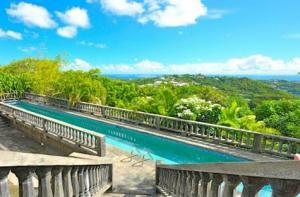 Below are some brief points in purchasing property in Caribbean. The Caribbean Property legalities of each island in the Caribbean differ enormously, so it is imperative that you seek advice from a local lawyer before committing to any Caribbean real estate purchase. In some islands, UK solicitors are not even allowed to practice, so it really is a case of seeking local Caribbean real estate knowledge. If you are considering buying real estate in Barbados, be aware that any non-resident will have to receive permission from the Central Bank of Barbados before they can proceed with purchasing Barbados real estate. In the British Virgin Islands and Anguilla, it may be necessary to apply for an Alien Landholders Licence before purchasing real estate. 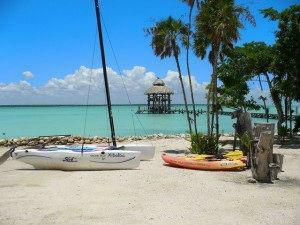 In the Caymans it is possible to purchase residency for a one-off fee in order to purchase Cayman real estate. 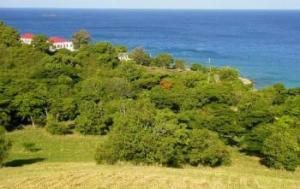 If you wish to purchase more than three acres in Dominica you need a Landholders Licence. The Caribbean Property laws and legalities are so diverse for purchasing real estate in the Caribbean Islands that we recommend seeking advice for your own Caribbean Property individual situation. Generally, when buying an off plan new development Caribbean Property, you will be required to make stage payments. This will usually consist of an initial ten per cent deposit, but payments of the remainder of the balance will depend on the Caribbean real estate development in question. Even though you are purchasing a new build Caribbean Property, your solicitor will still need to search for the Caribbean Property Register of Title. If you are buying a resale property, you will need to acquire a solicitor as soon as a price has been agreed - just as you would in the UK. The good news is that generally, throughout the Caribbean, the red tape seems to be far less than we are used to, but the major difference is that you will be required to pay a ten per cent deposit on signing the Caribbean real estate purchase agreement. This money is then held in the vendor's lawyer's escrow account until you pay the balance on completion and it is all transferred to the seller. The buying process for a resale property should take around three months. 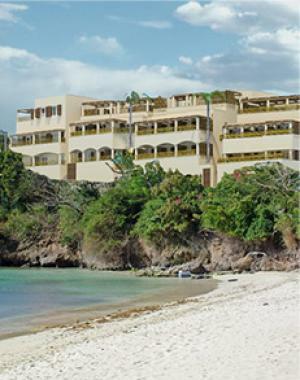 In a bid to increase tourism, the Dominican Republic government has launched a few tax incentives, such as no stamp duty, no tax on rental income, no capital gains tax for 10 years and no tax on purchases. This brings the island in line with many others which offer favourable tax breaks. The Turks and Caicos Islands, for example, boast no income or capital gains tax - yet stamp duty here is charged at 9.75 per cent of your purchase price. 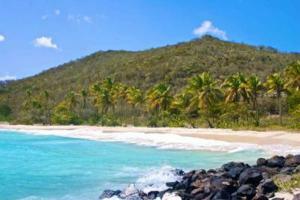 In the British Virgin Islands stamp duty is levied at eight per cent. Barbados' taxation system is different again, with a ten per cent transfer tax charged. However, if you buy your Barbados real estate through an offshore firm then you will be exempt from some tax when you come to sell. Ultimately, no two Caribbean islands are the same, so make sure you consult a tax expert before you purchase real estate in the Caribbean. As a rule, you can expect to pay legal fees of around two to three per cent in all Caribbean islands. Many of the Caribbean islands have different currencies, including the Barbados and Eastern Caribbean dollars, but the majority of property transactions are conducted in the US dollar - even on the islands where it isn't the official unit of currency. Local mortgages are available, but they generally require a 40 or 50 per cent deposit. Occasionally banks will lend up to 80 per cent loan-to-value, but this is the exception rather than the norm. The length of the mortgage term is also shorter than us Brits are used to, at 15 to 20 years - which can make for a rather hefty monthly repayment bill. However, banks tend to be flexible as long as they are sure that you will be able to repay the loan. If your dream is to build your own island bolt-hole, it is also possible to get a mortgage for an undeveloped plot of land. Building in the Caribbean is relatively affordable, thanks to the reasonable cost of labour so, if you have the time and the patience, this could be an economical way to get on the property ladder - just make sure that you have gained planning permission prior to applying for the loan. The majority of islands will require a tourist visa before UK citizens can enter the country - the amount of time that one of these is valid for varies. For example, in the Dominican Republic, Brits are entitled to stay for up to 90 days, while the British Virgin Islands are more flexible with a six-month limit. Residency is not usually hard to obtain - providing that you have adequate funds. In many of these islands it is a case that money talks, and so the more funds you can prove, the easier the process will be. 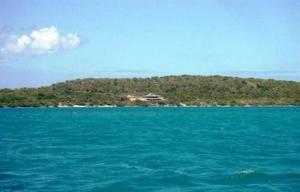 Some islands demand the import of all foreign currency to be declared. If you are planning on working in the Caribbean however, you may find the process slightly harder. Work permits tend to only be issued to those people who are planning on setting up a new business - to those who are willing to invest in the local economy - and the local workforce. If you are seeking general employment, then you will be required to prove that the job that you are intending to take can't be done by a Caribbean resident. They don't call it a millionaire's playground for nothing!